Your roof is probably the most critical system protecting your home from the elements. Our experience in the installation of composition shingles, the most widely used material, assures you will receive only the most professional and expert workmanship. Our capabilities include removal of the existing roof system and inspection of the wood structure beneath, along with the replacement of fascia and barge boards or the addition of a new skylight. Since 1959, Beaverton Roofing Portland has been serving the roofing needs of Beaverton homeowners with trained roofers and prompt service. As a member of the BBB and the recipient of the 2011 Angie’s List Service Award, our skilled and capable employees look forward to serving you. We offer residential roofing in Portland, Tigard, Beaverton, Lake Oswego, West Linn, Wilsonville & Milwaukie Oregon. If you’re looking for roofers Beaverton Oregon you’ve found the best here, at Beaverton Roofing. 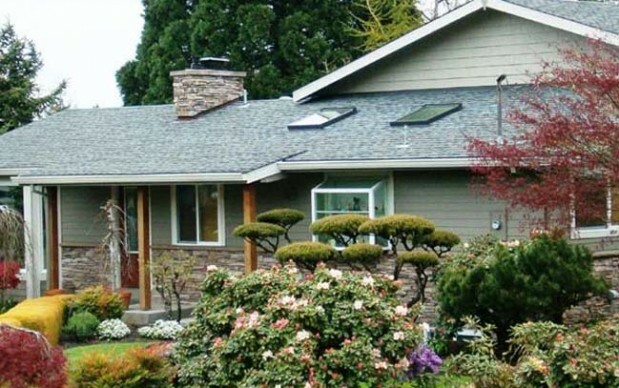 Beaverton Roofing has been building high quality custom roofs in Oregon since 1959. Our professional roofing contractors install roofs in West Linn, Beaverton, Tigard, Lake Oswego, Wilsonville and Portland. Our Roofing Company is dedicated to providing the best roofing installations using our factory trained Roofers in Beaverton to install the most durable and proven materials available for your home or business. If you're looking for the Best Roofing Contractors in Portland, or Beaverton you're at the right place. A new roof for your home is one of the most important improvements you can make. We've put together a list of 22 critical questions you should ask before hiring a roofing company.